This article is the first of what will be an occasional series of dialogues with business leaders, inspired by the Dialogue on Leadership work of Otto Scharmer. This first article is not the whole dialogue, but an overview of the ground covered. 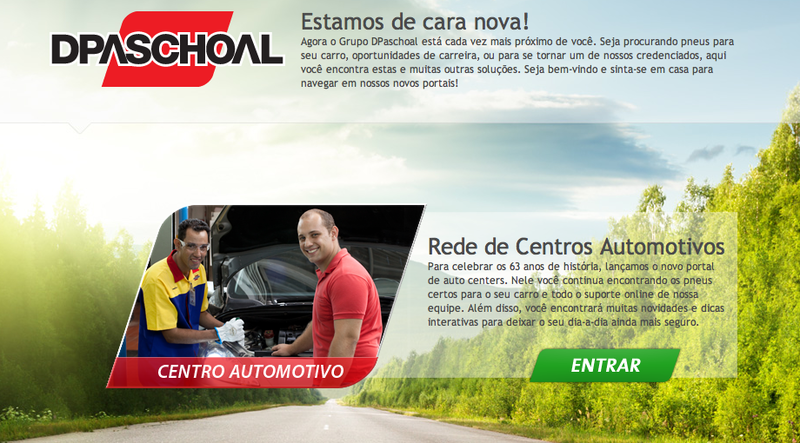 In our book Holonomics: Business Where People and Planet Matter, Maria and I provide an in-depth interview with Luís Norberto Pascoal, President of DPaschoal, one of the largest auto repair centres in Brazil. This to me is an extremely special company and one that I feel should be seen in the same light as the pioneering Patagonia, whose mantra is Reduce, Repair, Reuse, Recycle. Patagonia have won world-wide acclaim for their environmental programmes, which also include adverts asking people not to buy their products and Fortune Magazine recently called them “the coolest company on the planet”. DPaschoal deals with tyres, suspension, batteries, oil and exhausts. While it may not be in the same league of cool as Patagonia in terms of fashion, I really believe that it provides an important model and inspiration for future enterprises, and for this reason I hope you enjoy this dialogue with the president of DPaschoal, Luís Norberto. As has already been said, DPascoal is a company which focusses on automative repair, with more than 200 centres in Brazil. Luís Norberto has a great personal interest in education, and the DPaschoal group also includes DPaschoal Foundation of Education (Fundação Educar DPaschoal) designed to stimulate literacy and reading in children, and many other innovative training programmes relating to the education of mechanics, whatever their age. The group also includes Daterra Coffee, the first sustainable coffee farm in Brazil and the first to become Rainforest Alliance certified in 2003. Outside of DPaschoal Luís Norberto help to found the social movement Education for All (Todos Pela Educação), possible the most important non-Governmental institution in Brazil designed to ensure the rights of all children in Brazil to having a minimum level of education. DPaschoal was founded in 1949 by Donato Paschoal, the father of Luís Norberto. The company in fact can trace it heritage back to one hundred years ago, when the grandparents of Luís Norberto set up a grocery store which also had a petrol station on the same land. Tragedy struck the family when they died still in their forties, within the space of 20 days. The food and stock in the supermarket deteriorated, and it seemed that all would be lost. It was Luís Norberto’s father, now an orphan at the age of 20, who took responsibility for the family, the youngest of who was 11. Old people from a retirement home helped him to restart the company, and one old person who knew him but he did not know gave him him the seed money necessary. This experience had a great impact on him and his fiancee, being both an orphan and recognising the value that older people can provide the young, with the experience and the freedom to do what they want. You can’t be sure of the future unless you seed good things for the future. Luís Norberto joined the company in 1963, and as he says in those days they did not have the term sustainability. They talked about biodynamics in France for example. Sustainability in the early days was only about the planet and not in the broader sense. 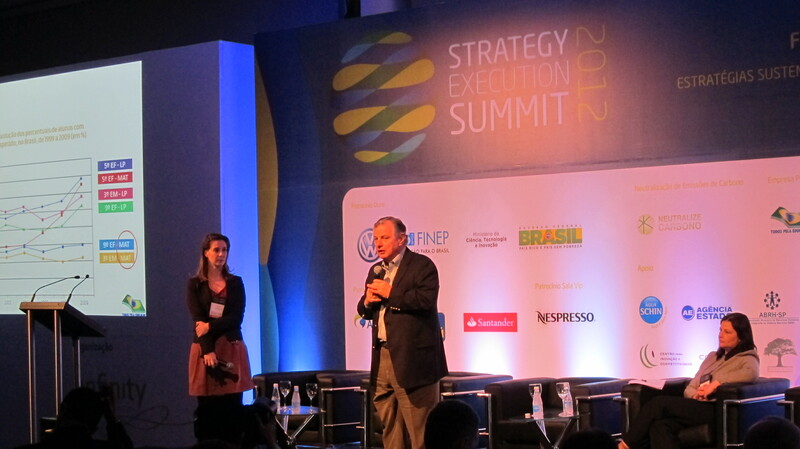 Luís Norberto met many interesting people in the 1970s and 1980s who he discussed the real meaning of sustainability. You don’t need to be afraid of being selfish. And you don’t have to be altruistic. Be selfish but think about the future. Think long term. Luís Norberto is very direct when he says that “tyres and shock absorbers are bad for the planet when you produce, bad for the planet when you transport, bad for the planet when you use, bad for the planet when you recycle. The whole chain is bad for the future.” Many years ago he had to decide whether or not to carry on with the business. In the end he decided that if he does not continue the company, someone else will fill the gap and sell tyres, so why not do the best possible. And so the company has the philosophy of only to sell the customer a tyre when they are really required, and not to try and sell tyres when the old tyres have plenty of life left in them. It is a crime to sell someone a new tyre just 5000 miles before the right moment. Maria is a customer of DPaschoal and can confirm that all employees stop customers from buying tyres even when the customer thinks that their car may actually require them. So tyres are sold only when the customer really needs them. A key sustainability strategy therefore for the company was education. Thirty years ago DPaschoal began a programme “Training for basic mechanics” which was mainly for women who could then be safe when driving at night etc if they were to have a problem. So far 3000 3-hour courses have been given. Then a programme was started to help big fleets to help their drivers to drive in such a way to maintain the tyres of the vehicles and save fuel. 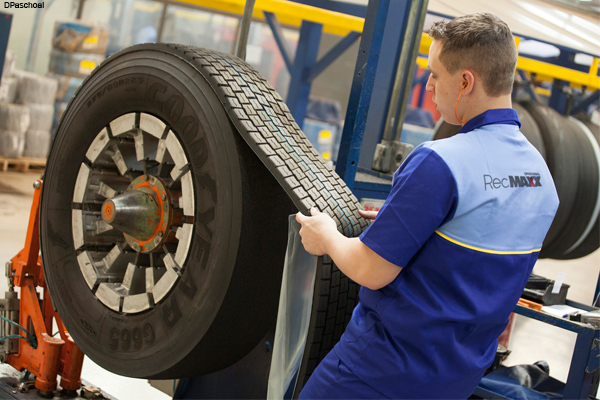 In a 2 day programme in a big fleet you can save 20% of the tyres. So for a big fleet which buys 1000 tyres a year, they can save 200. Only 10 basic elements can result in a saving of 20%, braking, pressure, alignment etc. A third programme was in re-treading of truck and bus tyres. If you buy a tyre and you recycle, you have one life. Our technology allows the same carcus to be retreaded three times so they can have three lives. All employees are trained in-house. Specifically they are trained not to push products on to customers, as can sometimes be the case in many Brazilian stores, where employees receive commission on sales. So this emphasis on education which began 30 years ago has evolved in the company to include many other educational programmes especially for children such as Faça Parte, Todos Pela Educaçãovolunteering, and from last year Maxxi Training. Maxxi Training is a knowledge fair, started in 2011, which Luís Norberto describes as knowledge distribution. For four nights in one city people with an interest are invited to attend, and the suppliers of DPaschoal attend in order to provide the training. Every night there are 10 or 20 classes with an engineer training 40 or 50 students, some of who may be 50 years old or more. Students self-organise and decide what they want to learn about, for example alarms, truck engines, shock absorbers etc. The key message is that education is fundamental, no matter the age of the mechanic, even if they are more than 60 years old. People on the first day are suspicious and worried that they may be sold to. At the end of the first day friends are invited, at the end of the second day they invite their employees, and at the end the fair is full. The original target was to train 1,000 people, but with the current fair happening last week in the city of Forteleza in the north of Brazil, DPaschoal trained 10,000 people, a stunning achievement. The fair in Forteleza had 1,000 people as people now know about MaxiTraining and there are no costs for students. It make sense for suppliers to send engineers, as they too need people to learn how to use their parts. The financial impact though is significant. For companies which started at the beginning of the programme, scrap and warranties were reduced by 50%. Scrap is when you send for a product and it is the wrong product. A warranty costs a company money when a part is installed incorrectly and is damaged or broken etc. Hence without education there is a huge amount of wastage. Luís Norberto emphasises that “in the long term, you only have sustainability if you educate people.” He himself realised that he could not run away from the challenges of sustainability and this built his company with the philosophy it has. The emphasis is on the reduction of waste, since people still need to drive, vehicles still need components. Overall, DPaschoal I would describe as an authentic whole. What does this mean? The phrase comes from Henri Bortoft who teaches us how to comprehend a dynamic living system organically. Unlike General Systems Theory where you stand back from an organisation and attempt to represent it using boxes and lines linking the boxes, when you comprehend an organic living system you look to see how the organisation comes to presence in the parts. Therefore the organisation comes to expression within each person who works for Dpaschoal, however part-ially. The DPaschoal ecosystem is a true ecosystem where all parts help sustain each other. This can only be achieved with a common purpose and a sense of human values which comprehends the need for both cooperation as well as competition. DPaschoal is not a rigid entity but a living organisation with porous boundaries that sits in true relationship with suppliers, customers, employees, the wider community and the planet. It is not counterfeit as the vision and mission are not merely window dressing, but sincerely held beliefs which are reflected in every aspect of the organisation. “Not selling” is not a paradoxical state, but a long term strategy which develops loyal customers and assures the long term resilience and survival of the company. Unlike Patagonia, it may not be the coolest company on the planet, but it is one of the most authentic, and I hope that this introduction has been interesting for you if you had not previously known this amazing Brazilian company. de crianças com deficiencias cerebrais e está ancorada por especialistas da Unicamp.